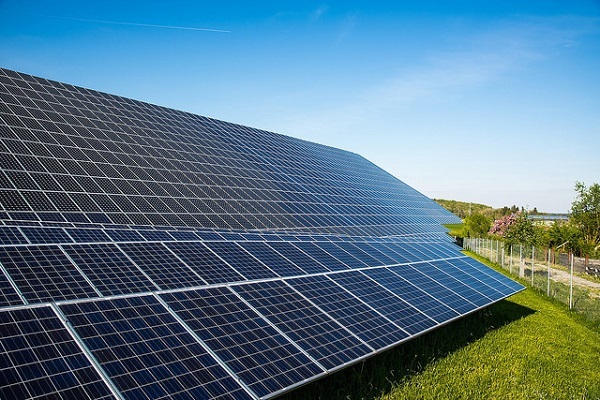 Suzhou Giga Solar Materials Corp., a subsidiary of Giga Solar Materials Corp., has been approved by the Bureau of Energy, the Ministry of Economic Affairs, for setup of a large-scale ground-mounted PV power station in Tainan. Suzhou Giga Solar has been actively seeking establishment of PV power facilities in Taiwan, following publication of "scope of disqualified farmland open to setup of green-energy facilities due to serious land subsidence" by the Council of Agriculture in Sept. 2017. Located in Xuejia district of Tainan, the projected PV power station of Suzhou Giga Solar will have installation capacity of 52,473.6 KW in the first stage and will be connected to the grid of state-run Taiwan Power Company via own booster station. After grid connection, it is expected to generate 79 million kWh of power a year, capable of meeting the power needs of 22,000 households in greater Tainan. The second-phase capacity is projected at 40,000 KW. In addition, Suzhou Giga Materials also plans to establish a PV power station in a landfill in Yanshui district of Taina, with projected capacity of 6,497.6 KW.